Christian Palestinianism is a doctrine that is a very askew interpretation of the scriptures and is actually a twisted form of Zionism. They believe 10 fundamental doctrinal errors. They scoff at those who quote the Bible prophecies regarding Israel. Christian Palestinians have changed the phrase ‘Replacement Theology’ to ‘Fulfilment Theology’ but it is still the same thing. The scriptures make it clear. 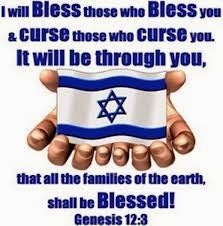 If we bless the Jews, we are blessed. If we persecute the Jews, we are cursed as promised to Abraham. Christian Palestinianism is rooted in Calvinism and is a political propaganda machine. Their leaders are writing numerous books to get their misguided message across. Christian Palestinians are on a collision course with the God of Abraham, Isaac and Jacob. THE BOOK OF ENOCH AND NOAH It has taken months to translate the Book of Enoch and Noah into modern English. 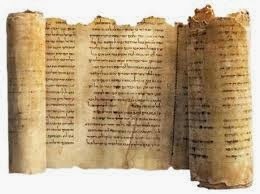 It was discovered in Ethiopia three centuries ago and translated into old English, then the book was discovered amongst the Dead Sea Scrolls last century. Enoch wrote his book in a very ancient language, a fore-runner of Hebrew, and at times his repetitive writing style can be a little tedious, especially the chapters about the orbits of the sun and moon. The book is long and if we can read the more tedious chapters, we will discover other chapters are extremely interesting. Enoch gives us deeper insight into the workings of heaven, blessing, judgement, angels and many other subjects that can be found in the Bible. Enoch also shows his deep respect for God and he was excited about the coming of the Son of Man. This book is worth reading.